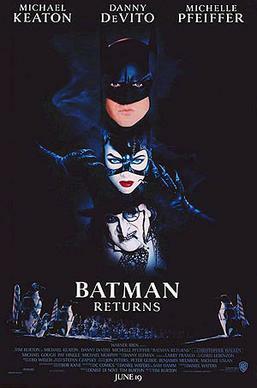 In the summer of 1989, Tim Burton’s BATMAN redefined the summer blockbuster. 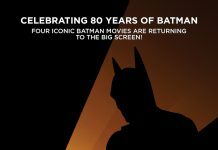 Not only was Bat-Mania taking place on the silver screen, but it also changed soundtracks forever. 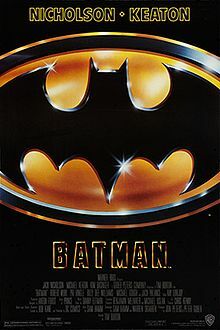 BATMAN was Prince’s 11th studio album and featured some heavy sampling from Michael Keaton, Jack Nicholson and Kim Basinger throughout the album. What a wonderful piece of 80’s nostalgia and a great look back into the best time to be a Bat-Fan. BATMAN was a music industry game changer, having sold over 11 million copies (to date) worldwide. It even held the Billboard album charts for six consecutive weeks. The music inspired by both BATMAN FOREVER and BATMAN & ROBIN are the two greatest things to come out of the Schumacher era and alone can easily make up their own top ten lists. Post Schumacher, the “various artist soundtrack” has almost lied dormant in comic book movies until Marvel’s GUARDIANS OF THE GALAXY films and 2016’s SUICIDE SQUAD from Warner Bros./DC. In this article, I tried to come up with a Top 10 list of songs “from and inspired by” the theatrical Batman films. I tried to keep the songs to music made for the films, excluding songs that were hits well before the films, ala Eminem’s “Without Me” from SUICIDE SQUAD or Harry Nissan’s “One” from THE LEGO BATMAN MOVIE. Now, this is by no means definitive. I am a 32-year-old man from New Jersey; I imagine this list is going to be vastly different from Rick’s, Bill’s or even Eric’s. Born in the ’80s, and raised in the ’90s, you might get a feeling for how this list will go down. I look forward to debating the merits of this list. 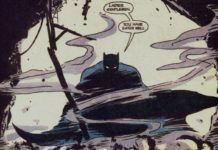 This is one of my favorite conversation pieces on Batman culture, so let’s get into it! Released in June of ’97, just days before the film hit theaters. This was one of the hottest hip-hop songs of the year. What I like to call a BBQ banger, this summer hit was on the radio all day in NY, going certified platinum, selling a million copies. This has been one of my favorite songs for a long time. The lyrical wordplay and the unique flow of Bone Thugs are second to none and keep your head bobbin’. Peaking at #2 in the U. S. on Billboard Hot Rap Singles and Billboard Hot R&B/Hip-Hop Singles and Tracks, and #4 on the Billboard Hot 100. The music video plays a decent amount of scenes from the film and even shows off the Bathammer (No, not Armie). They spent some money as they have a decent amount of special effects. Take a view below. Here is where I imagine I’ll catch some heat. “Batdance” was never my favorite but I couldn’t leave it off the Top 10. The sampling in the song is my favorite part. Prince sampled his own song, “The Future”, from this very album. Prince was truly a genius; this is a five-minute remix of the movie. It is unlike any other song on this list. 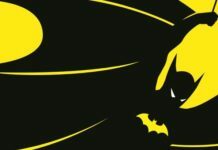 The song was a late addition to the album; can you imagine Batman without Batdance? I can’t either. Batdance was the top song on three American charts in 1989, Billboard U. S. Hot 100, Billboard U. S. Hot R&B/Hip-Hop Songs and Billboard U. S. Dance Club Songs. All three of these weekly charts Batdance held the number 1 spot at some point that year. The music video itself is amazing. The production value is remarkable, from sets to makeup, costumes, dancers, and lighting. No expense was spared and it’s a wonderful part of Batmania on display. While I was too young to remember any of it, this music video alone can make you feel like you were there. Any BOFer like myself can really get a grip of how The Dark Knight took over the Summer of ’89. Prince’s performance is remarkable, as are the dancers who recreate scenes from the film. The music video must have dominated MTV back in the day. Take a look for yourself below. “The End” might be the best thing to come out of Batman & Robin. This song did win the Pumpkins a Grammy award in 1998. It peaked at #10 on UK Singles charts. In the U. S., the song reached #50 on Billboard Hot 100 Airplay, #12 on Billboard Mainstream Rock Tracks and #4 on U. S. Billboard Modern Rock Tracks. For me, it was a great kind of artistic thing to do because it was very freeing. I wasn’t talking about myself or trying to represent the Smashing Pumpkins. I was trying to represent Batman. Joel Schumacher had some influence on this music video. There are clips from the film but they are mostly background images. This music video and “Look Into My Eyes” have a darker look to the Clooney Batman. He almost looks like he is wearing the Panther suit from BATMAN FOREVER, something worth noting. Definitely, “Batdance” and “Look Into My Eyes” have better production value. This music video almost looks like a video game cut screen. This might be my personal favorite Bat-Track ever. “Purple Lamborghini” is the definitive Backyard BBQ Banger. Summer of 2016, this song was played hourly on Hot97 and Power 105 in NYC. It was played at every BBQ and club all summer. I can’t hear this song and not think of the joys of summer, sun, brisket, and beer. Every time this song plays people are movin’ and groovin’. 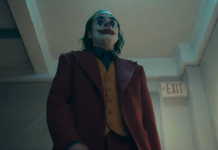 The music video gives us more of Jared Leto’s Joker. No clips from the movie are shown. 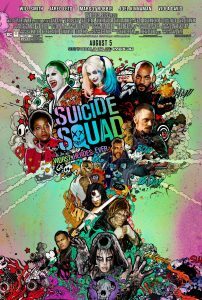 This is more of a night with the Joker, as Ross and Skrillex play the role of henchmen. I think it’s an interesting concept for a music video. Rick Ross does some really cool wordplay intertwined with Gotham references. The single has gone Certified Platinum in the U. S., reaching #33 on the US Billboard Hot 100, #6 on the Billboard US Hot Dance/Electronic Songs and #7 on the Billboard US Hot Rap Songs. I hear this song and I can’t help but break out and dance. Doesn’t matter if this song pops up on shuffle or if it’s time for the parade scene, I’ll dance in my seat. This is just an amazing feel good song. Those trumpets and high hats are really great. I’m sure that having this song attached to one of the greatest scenes in B89 is a big part of ranking this over Batdance. The combination of Jack’s Joker on the screen and Prince’s music is just so perfect. The way Nicholson is throwing cash around and dancing. This almost makes up for this song not getting a music video. Take a look for yourself in the link below. The best Batfilm in recent memory makes its first appearance on the list. Who’s the (Bat)Man just like the film it’s in is a love letter to Batman. Just look at the first verse of the song. BUT I’M THE BEST OF THEM ALL! It’s almost insane how, like the film, this song is so self-aware of everything that makes Batman amazing. Fall Out Boy’s Patrick Stump does a fantastic Batvoice that cannot be ignored, while I believe the film does use Will Arnett’s voice. Stump does a fantastic rock star Batman, not a bad portrayal at all. Stump is the only artist on this list to officially be entered into the Bat-voice category as of today! Check out both versions below! Danny Elfman was none too pleased with the fact that he had to share Batman musically for B89 with Prince, while us fans were graced with arguably the greatest music from and inspired by albums that a fan could ask for. You can see that like Burton, Elfman was given his creative freedom as Siouxsie and the Banshees have the only song on the soundtrack and not performed by Elfman. He did have a hand in composing the song alongside producer Stephen Hauge. The song peaked in the U.K. at 21 and in the US at 7 on U.S. Modern Rock Tracks. The music video takes the tone of the feature film to heart by matching the dark, gothic German expressionism of the film. The production value of the video should not be sold short as Siouxsie and the Banshees look pulled out of a Tim Burton sketch pad. The crew did a great job on costumes, hair, and makeup. With various cat shots and clips from the film, this video is well worth a watch and I’m sure it benefited from the glory days of MTV. Check out the music video below. 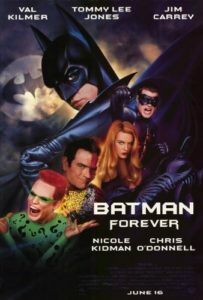 “Hold Me, Thrill Me, Kiss Me, Kill Me” helped the BATMAN FOREVER hype train make it out of the station. This song got some serious radio play in the summer of ’95, peaking at #1 on the U. S. Billboard Alternative Songs and Mainstream Rock, while reaching as high as #23 on the Billboard Top 40, and as high as #81 on the U. S. Billboard Hot 100. I remember this song being a staple on MTV that summer. The music video is an interesting one, to say the least. 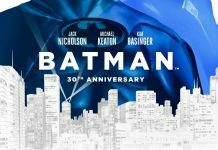 Featuring some deleted material from the film, actual film clips, and an animated U2 in an animated Gotham City. The most notable deleted scenes from the film are “The Bat Must Die!” when Two-Face escapes Arkham Asylum. 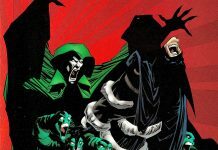 U2 is performing a concert while Bono’s two alter egos face off in a comic book-inspired environment filled with the Riddler, the Nygma Tech Box and Batmen playing cellos. 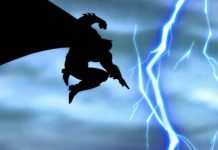 Some parts of the animated segment mirror the film such as the Batwing’s cameo and the opening bank heist. The animation makes me think of the design of the Fox series King of the Hill. This is definitely one of the cooler music videos of its day. See for yourself below. Coming in at #2 on the list is “Partyman.” This song is not only the best song on Batman but perfectly sums up the Jack Joker. Seeing Jack and his band of merry men, gas the museum patrons then add their own artistic take to the exhibits just seems so perfect for the Joker. Peaking at #18 on the U. S Billboard Hot 100, what really separated Partyman from the rest of the Batman album and Batdance specifically is that Partyman has both a music video and a whole scene in the movie. That is just the proper overexposure to generate a hit song. The “Partyman” music video falls in line with the rest of what Prince brought to the table; Lavish sets, costumes, and choreography. Looking almost like a Joker/Alicia hybrid, Prince crashes a party and brings the ruckus! Taking cues from the museum scene itself, Partyman is a wonderful interpretation of the scene with Prince hallmarks all over it. While Batdance is usually the popular choice, Partyman just beats it out in terms of fun. The music video, combined with an awesome quotable scene is just what you need for this upset between two songs on the same album. Here we are, numero uno, the best of the best. “Kiss From a Rose” was actually released in the summer of 1994 and was added to the BATMAN FOREVER soundtrack, where it really took off and was a major part of the pop influx on the movie. The song dominated the charts in the summer of ’95. Peaking at #1 on U. S. Billboard Hot 100, Billboard Adult Contemporary, Adult Top 40 and Mainstream Adult Top 40. It also landed as high as #5 on U. S. Billboard Rhythmic, #35 on U. S. Billboard Alternative Songs and #52 on U. S. Hot R&B/Hip-Hop Songs. In 1996 at the Grammy’s the song won “Record of the Year”, “Song of the Year”, and “Best Male Pop Vocal Performance”. Talk about a dominant run that wouldn’t end, this song got constant radio play and was on MTV nonstop. The single would go on to reach Gold status in the U.S. on both physical and digital media and even went Platinum in the U. K.
I would sit in front of my TV just waiting to see this music video. 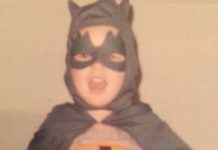 It is what helped 9-year-old Peter get hyped beyond belief for the first in-theater Bat-experience of my lifetime. I can’t help but break out and sing this song to the worst of my ability. I never miss a chance to belt out this chorus. 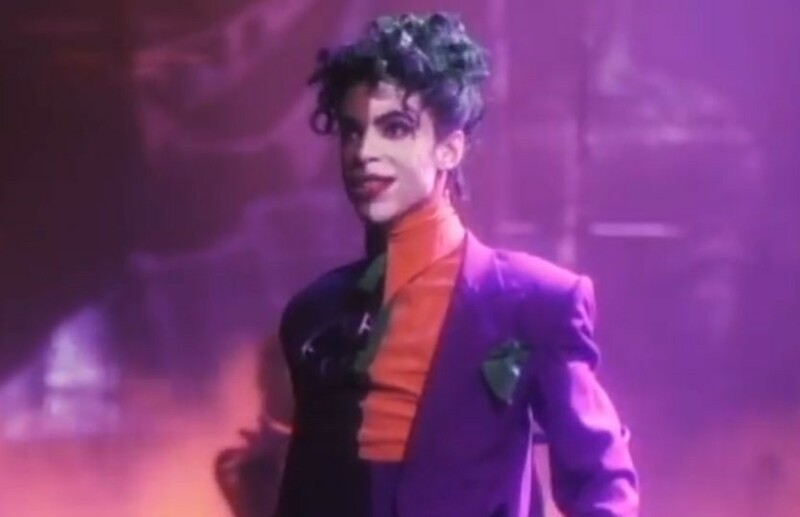 There are two versions of this music video; the one from the initial release in ’94 and the ’95 version that was attached to the film, which was directed by Joel Schumacher himself. The MV uses various shots from the movie when not focused on Seal in front of the Batsignal. We do not get any other deleted footage as we did with “Hold Me, Thrill Me, Kiss Me, Kill Me”. We get a good amount of Bruce/Chase footage from the film, and a good amount of villains and vehicles (for marketing purposes I’m sure). In terms of popularity, “Kiss From A Rose” only really has to worry about “Batdance”. 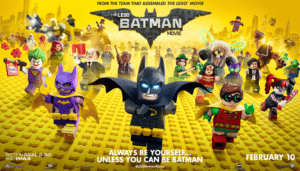 Between the two songs, Batman has been well represented in the general audience’s ear. As I said earlier, most my age would agree Seal and “Kiss From a Rose” are as good as it gets when it comes to music inspired by a Bat-Film. This was a blast of an article to write! Going back and listening to these songs is not really a new thing for me as I play the scores and soundtracks often. Breaking them down and determining my favorites was a real treat as a lot of reminiscing goes on while doing a piece like this. It brings you back to the good old days of childhood summers, realizing that you still get similar feelings when a film (even SUICIDE SQUAD) puts out fun music via a from and inspired by soundtrack. It’s great to know that the feeling is still there and at times I can feel like a 9-year-old listening to the radio, even when playing these music videos on YouTube. I look forward to hearing your thoughts on this list and how you would rank them. This is just my take and I’d love to debate it with the greatest group of Bat-Fans around.